It seems like Dana Carvey is back. (Did he ever leave?) He's recently been spotted at the LA Improv recording episodes of a planned podcast with his two sons, popping up on Conan, his First Impressions unscripted show on USA, and this week he makes his debut on The Nerdist to plug his appearance (or his voice's appearance, rather) in The Secret Life of Pets animated movie that opens this week. Host Chris Hardwick and sidehost Matt Myra seem delighted to have the former SNL'er in studio but keep most of their comedy fanboy at a steady but manageable level. The chat starts out from a tangent about possible shared ancestral genetics (Irish/Scottish/Scandinavian) and proceeds to carom wildly through the next hour-plus. They touch on Carvey's retinue of well-known characters like Garth (from Wayne's World), the Church Lady, George Bush, Sr., etc. ; and what he does to keep things fresh with 40 years of standup under his belt. One of the things is mentoring his aforementioned sons, Dex and Tom, who are both now pursuing the standup comedy life. The other thing he's engaged in is watching today's popular comedians and the audiences to try to get a bead on what qualifies as "funny" today. As far as why he's been popping up so much, he describes it as his "victory lap" as he sees his career settling into a comfortable, calling-his-shots kind of place. During the show, Carvey often turns the tables and asks host Hardwick questions about his own comedic process. It all makes for a good conversation and has all the earmarks of Carvey getting in shape to host his own podcast soon. 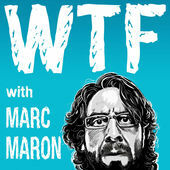 I don't know that I've caught Jeff Goldblum, guest on this week's Monday drop of WTF with Marc Maron, on a podcast before but after hearing him cut loose here I'd enjoy hearing him anytime. As Maron points out early on, he is Jeff Goldblum -- complete with all the delightful verbal affectations that we're familiar with from his screen performances. In the garage, he reveals himself to be a raconteur, a first-rate storyteller, with an ambling rhythm that hops from tale to tale. 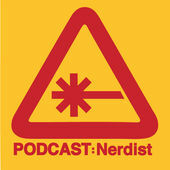 And Maron's own conversational beat runs a fascinating counterpoint to his guest. Both being musically adept --Goldblum on piano, Maron on guitar -- one can really feel it when they start riffing at full speed. There's insight into his acting method, his worth view, his politics, and more. I really enjoyed the listen. The Nerdist, WTF reviews and other podcasts mentioned originally posted as part of This Week In Comedy Podcasts on Splitsider.com.